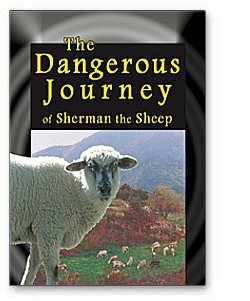 Like Pilgrim’s Progress or Hind’s Feet on High Places, the story of Sherman the sheep is a spell-binding adventure for kids of all ages. But more than this, it is a moving chronicle of a young soul’s awakening, and a sober but tender allegory of redemption through Him who first loved us and gave Himself for us. Targeting thoughtful seekers and inquiring Christians, this book is a non-technical, in-depth study of the great themes of cosmology: the origin, structure, purpose, and destiny of the universe. 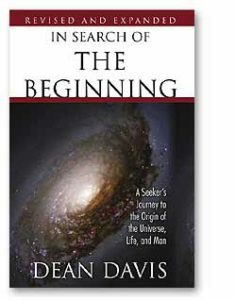 After demonstrating our need of divine revelation for success in the cosmological enterprise, Dean examines naturalistic, pantheistic, and biblical views of the beginning. If you’re the kind of person who likes to see the Big Picture, you’ll love this book! Annotated, illustrated, warm, readable, and full of surprises! 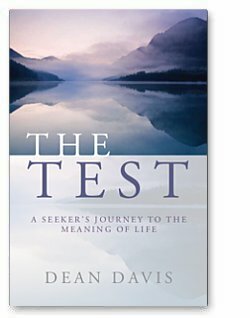 Are you a seeker, wondering if there’s a God, or struggling to find purpose in your life? Are you a Christian, glad to be one but distressingly uncertain about what you really believe and why you believe it? If so, this book is for you. Yes, it’s big, incorporating equal parts of Philosophy, Apologetics, and Systematic Theology. But it’s also warm and readable, full of charts, diagrams, story, adventure, and the joy of discovery. Over a decade in the writing, The Test is a heartfelt invitation to seekers everywhere (especially the young), that they should embark–with a sympathetic companion at their side–upon the ultimate journey to the ultimate destination: the meaning of life. For the last 150 years the evangelical world has been embroiled in a Great Debate about eschatology. The debate consists of questions about four great biblical themes: the nature and stages of the Kingdom of God, the proper interpretation of OT kingdom prophecies, the meaning of the Millennium, and the Consummation of all things at Christ’s return. 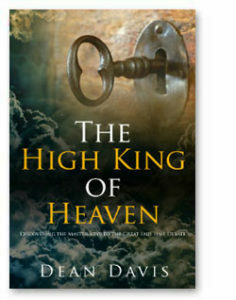 This book was written in the conviction that the High King of heaven has given his people certain master keys by which they may know the answers to all these questions; by which they may resolve, once and for all, the Great End Time Debate, and so be fully prepared for the dramatic closing scenes of God’s great plan of salvation, and the dawn of the World to Come. He was a fairly typical child of the sixties. He grew up in a comfortable middle-class home, went away to college, got interested in philosophy, rode a motorcycle, sang melancholy folk songs about love and war, experimented with drugs, flouted the sexual wisdom of the ages, questioned authority, disdained the Establishment, and dutifully protested the American presence in Vietnam. But then something happened. Though he had never really thought of himself as a radical, suddenly he became one. A radical in the deep, philosophical sense of the word. Now he began to marvel at the mystery of being. Now he began to think seriously about life’s ultimate questions. Now he wanted to get down to the bottom of things–to the very root of reality–in order to see and experience it for himself. In short, now he realized he had find out the truth about God, or die trying. 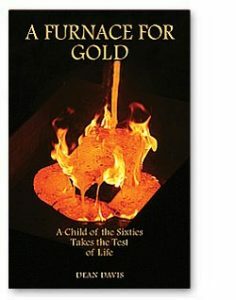 This is his story–and the story of every spiritual seeker who wrestles with God in a furnace for gold. To read or download a complimentary PDF Version, click here.